South Korean poultry giant Harim Group said Monday that it will begin selling frozen foods such as chicken nuggets and ready-to-eat products like Samgyetang, or chicken ginger soup, in the Philippines. The company said its signature product of Yongari chicken nuggets and other frozen foods will hit the shelves at supermarkets in Manila and other major cities in the Philippines soon. Last month, Harim’s products passed customs in the Philippines, it said. 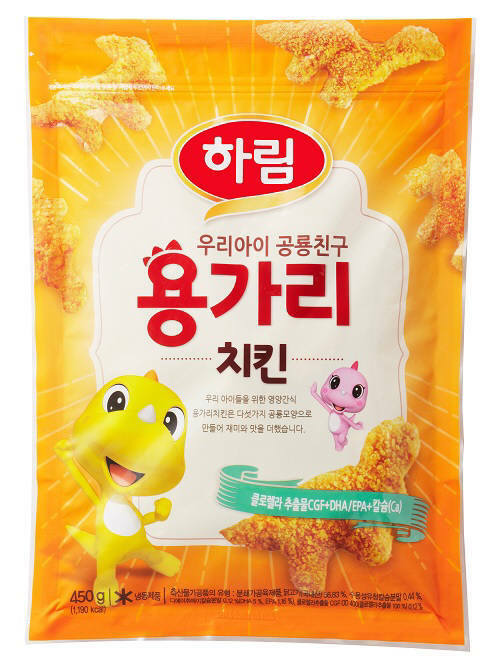 It is the first time for a South Korean company to export a processed chicken product to an overseas market, according to Harim. The company has been working since earlier this year to receive approval from the Philippines’ Food and Drug Administration after South Korea’s related authorities clinched an agreement on quarantine and hygiene safety measures. Harim has been exporting its products overseas to countries like Japan, the US, China, Taiwan and Singapore since 1995. “With increased income level among citizens in the Philippines, we witnessed that more local consumers are buying imported food and ready-to-eat food. We expect more will enjoy Harim’s products as we launch active marketing in the Philippines,” said Park Jun-ho, a marketing official at Harim.